← Might Pinellas County High School Form a Shuffleboard League?????? Did You Know by Kenny Offenther and Earl Ball?????? Kenny Offenther Speaks: DID YOU KNOW that EARLY TOURNAMENTS NOT ONLY HAD REFEREES BUT ALSO UMPIRES! Kenny Offenther Speaks: Did you Know that NO MEN UNDER 25 OR WOMEN UNDER 25 WERE ALLOWED TO PLAY! Pic is of Kenny Accepting the Golden Cue Award from Jim Allen. Stan McCormack Speaks: Do you know that just as Kenny is doing a great job of tracking down interesting facts about Shufflers and Shuffleboard facts, in the future, shufflers such as Kenny, and yes, Stan, will be looking back to see who is setting records IN OUR TIME!!!!! More than one shuffler comes to mind. However; at this time I am naming Earl Ball. Earl Speaks: Beyond a doubt my concentration has been on the Florida State Pro Circuit. The best players in the World winter in Florida and play the State Tournaments testing themselves against the best. But I’ve also played in other Shuffleboard Associations; in fact my original success was in the Florida Shuffleboard Association Central District. You all know that my father-in-law, Paul Bush, got me started; Stan recently published the story.Paul Bush Story I thought playing one tournament a week, around Zephyrhills would be plenty, and it would have been, except I discovered the District Amateur “Masters” and, that it would be played at my home courts in Betmar. I couldn’t let that pass, so I started traveling to win the points I needed to qualified and discovered I liked playing in other venues. I did qualify and won the “Masters”, called the Reiny in the Central District, in April 1999. You’ll remember I made instant Pro in October 1999 so I only got to play one tournament as a State Am and won the Tournament. I’ve gone on to win the District Pro “Masters” five times; no other male has done that. I was inducted into the District Hall of Fame in 2006, EARL BALL CD HALL OF FAME PLAYER AWARD the 2nd year players were inducted. Have you ever wondered what one little ole point means? Well it means a lot. I missed qualifying the 1st year a player could be inducted by one point when I couldn’t win the last tournament of the season finishing runner-up. I have led the District in career points for the last several years and have 400 total points. 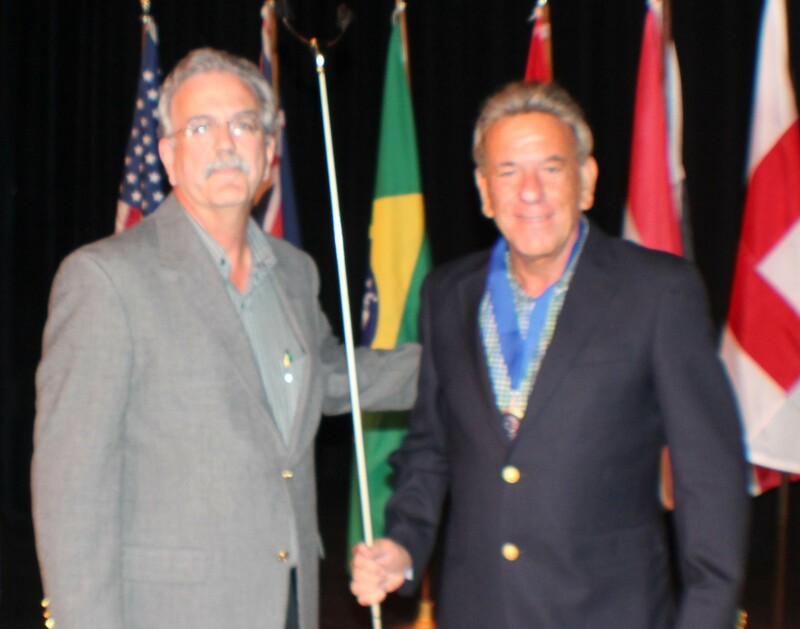 I’ve been fortunate to have been able to travel the World with the International Shuffleboard Association and to attend Inaugurals to introduce the game in several Countries. I had the good luck to be selected to play on the USA team in Clearwater in 2002 and because I didn’t know enough to be nervous I won every game; DID YOU KNOW Good Sum. to 2009 MEDALonly the 9th player ever to do so and was awarded a gold medal by the USA team. 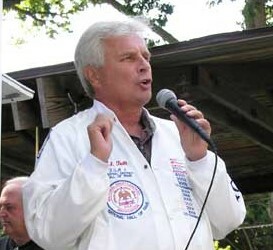 I was part of the World Champion USA team in Lakeside, Ohio, in 2006 and elected to the International Hall of fame in 2010. I am most proud to have been elected to each Hall of Fame as a Player. Many of you have heard me say “I just want to be a Player”. I guess I’ve done OK! Along the way Grant Boshart and I won the Ontario Shuffleboard Association Championship in 2008. I have served as an Officer at every level but prefer just to be a player. Stan’s Note: Earl and Kenny will be playing in the TOC (Tournament of Champions) beginning Monday morning, 2018 03 26 at the Sebring Shuffleboard Club, 333 Pomegranate Avenue, Sebring FL Earl finished the season in first place with 60 points. Kenny finished the season in 8th place with 39 points. Stan McCormack 2018 03 25. 2 Responses to Did You Know by Kenny Offenther and Earl Ball?????? So which “Did You Know” talks about Shuffleboard Referees and Umpires ? I hope to bring them back for the High School League. Mike: I will see that Kenny gets your question.